In the enchanted kingdom of Brooklyn, the fashionable people put on cute shoes, go to parties in warehouses, drink on rooftops at sunset, and tell themselves they’ve arrived. A whole lot of Brooklyn is like that now—but not Vassa’s working-class neighborhood. In Vassa’s neighborhood, where she lives with her stepmother and bickering stepsisters, one might stumble onto magic, but stumbling out again could become an issue. Babs Yaga, the owner of the local convenience store, has a policy of beheading shoplifters—and sometimes innocent shoppers as well. So when Vassa’s stepsister sends her out for light bulbs in the middle of night, she knows it could easily become a suicide mission. But Vassa has a bit of luck hidden in her pocket, a gift from her dead mother. Erg is a tough-talking wooden doll with sticky fingers, a bottomless stomach, and a ferocious cunning. With Erg’s help, Vassa just might be able to break the witch’s curse and free her Brooklyn neighborhood. But Babs won’t be playing fair. . . . 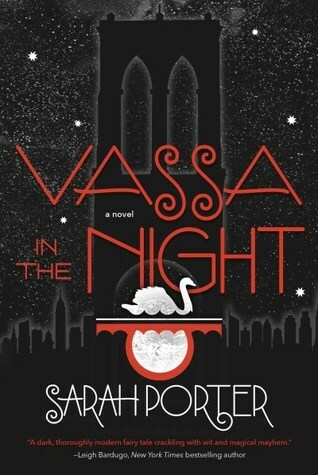 Inspired by the Russian folktale Vassilissa the Beautiful and Sarah Porter’s years of experience teaching creative writing to New York City students, Vassa in the Night weaves a dark yet hopeful tale about a young girl’s search for home, love, and belonging. I have always thought that there was something special about Brooklyn. I may be a little biased since it's my hometown ^_^' Combine my hometown with a book inspired by a Russian folktale, and basically you have a book about my home in more ways than one. I'm really excited about this book and I can't wait to get my hands on it! I'm a writer, artist, and freelance teacher. I teach creative writing workshops in the New York public schools via Teachers and Writers Collaborative; I've worked with kids in grades K-10, but I've focused on junior high and high school for the last several years. I don't think I would have written a YA novel if it weren't for that experience! Reading my students' intense, passionate poetry and stories recalled my own emotions at that age. Lost Voices was my attempt to write the book I most needed as a twelve-year-old struggling with what it means to be human: a book I never really found. As for why I became a writer, well, I grew up moving around a lot. I was shy and didn’t have a lot of friends, and I read all the time. Books sustained me and gave me a sense of belonging when I was young. All the voices of all the writers I’ve loved throughout my life seemed to flow together into something like a speaking whirlwind. Literature for me has always been a force greater than the individuals who create it. And because that force meant (and means) so much to me, I wanted to be a part of it, to give it what I could and contribute to its power. I live in Brooklyn with my wonderful husband Todd, an artist and fabricator of electronic art, and our cats Jub Jub and Delphine. I have an M.F.A. in Creative Writing from City College. How haven't I heard of this book before? It's not getting any buzz, but what a unique concept and spectacular cover. The author also has really cool hair, so bonus point for that lol. I don't know how it's not getting more buzz but it literally has everything I want in a book! The cover is so gorgeous *heart eyes* PLUS it's blurbed by Leigh Bardugo, so it's a must read for me. As soon as I read the words "inspired by the Russian folktale" I was like YESS and immediately added it to my TBR. ((My love for anything Russia is so real, haha)). So excited for this! 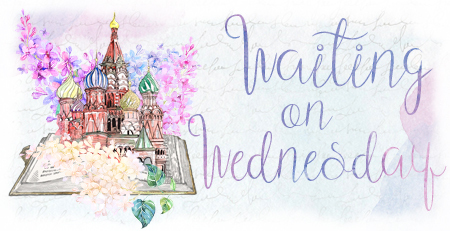 Tick Tock: Seven Tales of Time Cover Reveal!